If you're having trouble maintaining the Halloween spirit as the big day approaches, one look at Fright-Rags' new releases ought to do the trick. 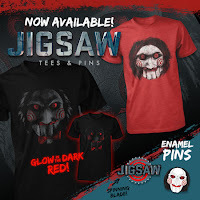 The horror apparel company has treats from John Carpenter's Halloween, Jigsaw, P.J. Soles, and General Mills' monster cereals. 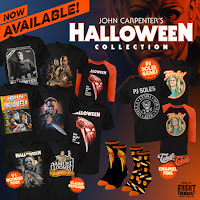 Fright-Rags rings in Halloween with a huge collection of apparel from John Carpenter's 1978 horror classic. It includes four new Halloween T-shirt designs; reprints of several classic shirts; the iconic poster art on T-shirts, baseball tees, and zip-up hoodies; and two pairs of custom-knit crew socks. As if that weren't enough, Fright-Rags has released "totally" cool T-shirts, baseball tees, and enamel pins dedicated to fan-favorite actress P.J. Soles, who plays Lynda in Halloween. Jigsaw, the long-awaited eighth installment in the franchise, is in theaters today via Lionsgate. 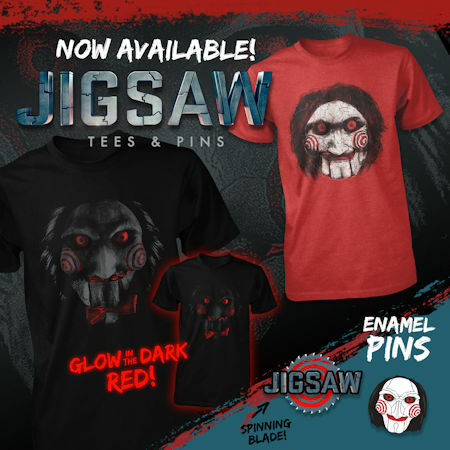 Fright-Rags celebrates the return of the modern horror icon with a new collection of T-shirts - including one that glows in the dark - and enamel pins from the film. 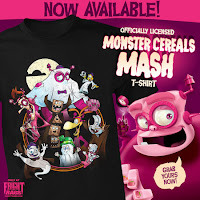 General Mills' monster cereals come just once a year, but even the other mascots are getting in on the fun this time. 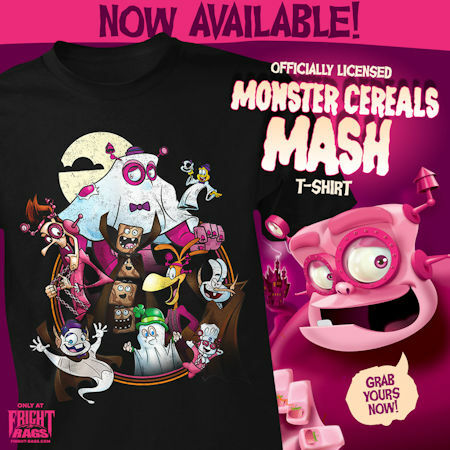 Fright-Rags has a new shirt depicting General Mills cereal mascots dressed up as Count Chocula, Boo Berry, and Franken Berry for Halloween. These items are on sale now at Fright-Rags.com, along with apparel from Trick 'r Treat, Halloween II, Halloween III, and many more.